Here at The Silver Mountain Experience we love to see our local visitors, so we thought before the hub-bub of the Summer holidays, we’d give them a chance to come and enjoy a day out with us without the big crowds! Whether you are looking to explore centuries of history, experience awesome actor led shows such as our NEW FOR 2018 Dragon’s Tale, or looking for a bit of a scare on Black Chasm, we’re the place to be! 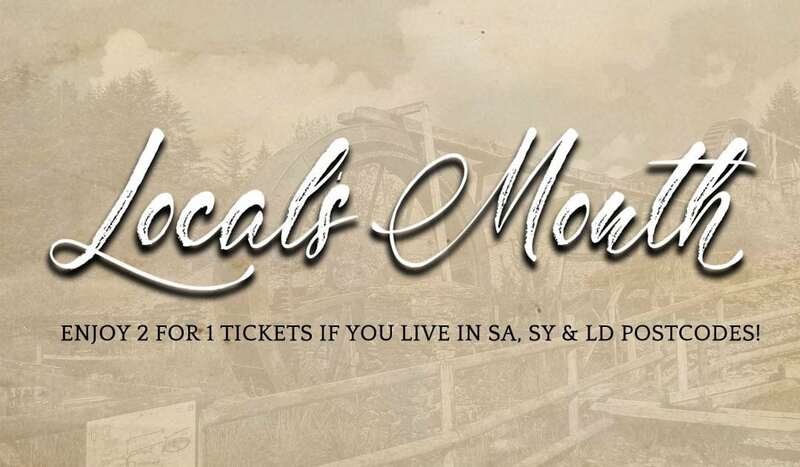 If you are lucky enough to live in SA, SY and LD postcodes, then you can enjoy a fantastic 2-4-1 entry offer. So grab your family and friends, and come and join us, we can’t wait to see you!